The heartbeat of Sparta Church is to bring glory to Jesus through loving God, growing together, and serving others. With our app, you'll be just a tap away from content, messages, videos, and events in a convenient image-rich layout. 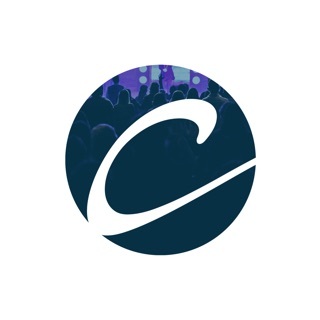 Stay up to date with our weekly sermons, access past series and get connected with study questions, LIFE Groups, live-streaming, ministries, and volunteer sign-ups. 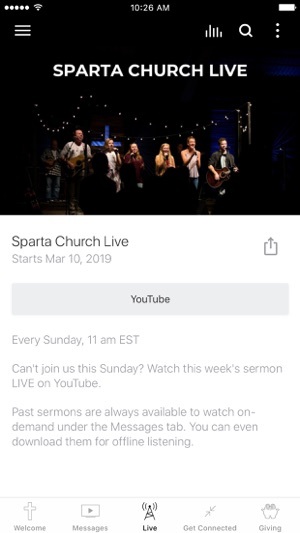 Be the first to know about the most recent sermon series from Sparta Church, as well as photos, events & news. 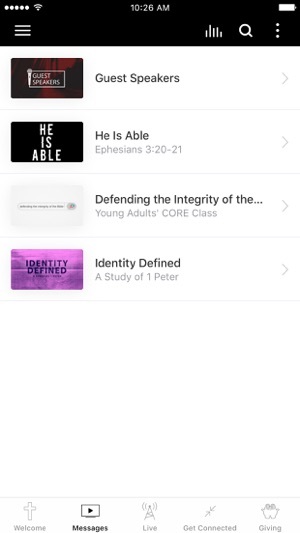 Welcome to the Sparta Church app. Sparta Evangelical Free Church Inc.